Based on reviews from 137 experts and 30,871 users. Learn how our rankings work or see our guide to Salomon running shoes. Updated Apr 2019. It all started in 1047 when the Salomon family opened a store Annecy, France that created and sold woodcutting saws and the edges of skis. It’s a relatively simple business, yet it thrived because of the town’s closeness to the mountains. People were coming from all over to enjoy sliding down the slopes with their specially-crafted contraptions. Creating ski edges was only the beginning. Soon, the company was looking towards the future and how they were going to contribute to the great sport of skiing. The year 1957 was the time when ‘le lift,’ the earliest version of a Salomon ski binding, was made. A hardier material was used for this contraption instead of the old-style use of leather. In 1966, Salomon invented the first-ever binding that had a heelpiece that was self-releasing. Enthusiasts didn’t have to fiddle with their boots to free them from the long-bodied apparatuses. The technology became a staple in the industry, and Salomon was to thank for that. The ‘70s proved to be a fruitful year for Salomon because it became the number one company that made and sold bindings. People trusted its creations, so they flocked towards its quality designs and innovative features. 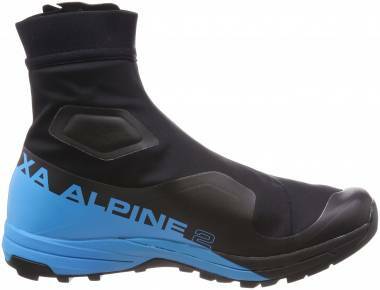 The release of alpine boots in 1979 paved the way for a future in multi-sports. Metz Tessy, Annecy became the new home of Salomon in 1985. The company grew and grew, so it became pertinent to expand its reach, and that includes the utilization of a bigger facility. Moving forward extended to the ‘90s; the S9000 (the first Salomon ski) was released in 1990; hiking shoes made their debut in 1992; snowboarding gear got into stores in 1997. The new millennium saw the arrival of winter apparel in the stable of Salomon products, signaling the leap beyond merely skis and shoes. 2005 was an exceptional year because Amer Sports had fully acquired the company. In 2008, a UTMB record was set by Kilian Jornet while using a Salomon shoe. More success was earned by the Salomon Company in the 2010s. The Quest Boots (2011) offered versatile performance for hikers and trail walkers; Emilie Forsberg of Team Salomon became Skyrunning World Champion in 2013; the versatile Backcountry footwear and apparel was launched in 2015. Salomon went beyond skiing and snow-covered peaks. The brand now covers a multitude of activities, including hiking, climbing and running. A variety of footwear and clothing have been doled out by the creative minds within the innovation centers, with more to come as time goes on. Several communities were created out of the diverse offerings of the company. Some groups are dedicated to hiking, alpine racing, trail running, ultramarathon racing, and others. Cross-community experiences have also happened. Salomon values personal and congregational enjoyment. ‘Esprit de Famille’ is one tagline in the Who We Are segment in the brand website. The creations and innovations within the Salomon banner are meant to improve the performance of runners and other outdoor adventurers. The diversity within the stable of products allows people to discover the spirit of enablement and personal achievement. Salomon created the Play-Minded Program to bank on sustainability and continuously center the purpose of delivering quality service. The end-consumer isn’t the only facet that is involved in the Program; the products, the product-makers, and the environment are also integral to the quality of the brand. The aspects of Salomon’s play-focused approach are as follows: the players, the toys, the toymakers, and the playground, which stand for the enthusiasts, the products, the creative team at Salomon, and the outdoor environments, respectively. These terms may seem more relevant for children, but such words are perfect displays of fun-loving wit, charm, and focus on better service. The month of March in the year 1999 was the inauguration of the Salomon Foundation. This institution is meant to be a beacon of light to those who have jobs associated with skiing, mountaineering and trail adventuring who are suffering from work-related injuries or disease. Help is given through volunteer programs and financial aid. Moreover, the Foundation also extends its helping hand to family members of people who have died while adventuring on the great outdoors. The Salomon Mountain Academy is an online course that’s created for enthusiasts of mountain adventures. The purpose of this portal of education is to instill an understanding and sound awareness of the various elements of backcountry capers. Lessons on safety, active decision making and topography analysis are available on this site. The Time to Play Foundation is another banner that aims to help people when it comes to involving themselves with outdoor activities, group-centric undertakings, learning sessions, and life-elevating occasions. Individuals may need to learn more about responsibly traversing the unpredictable terrains, and they may need survival and security skills. They may also desire to involve themselves with a community of like-minded personalities. The foundation helps them achieve such goals. It is worth noting that though it is not associated with Salomon, it shares parallel views on proper education, safety, and the virtue of community building. Salomon has associated itself with various foundations that work to conserve the integrity and viability of nature and its resources. It has even co-founded the Fondation Eau Neige Glace in 2009 to help in the preservation and governance of water sources from the mountains of France. The brand is also a member of and donates to the European Outdoor Conservation Alliance (EOCA), an organization which invests in efforts to preserve and improve the health of the outdoor environments. The Conservation Alliance in the United States has also experienced the participation of Salomon. Donating to various groups isn’t the only capacity of the Salomon Company when it comes to doing their part for the environment. The shoe-making facilities are made to monitor and lessen any emissions. Salomon’s parent company, Amer Sports, evaluates the carbon footprint of its buildings, discloses the findings to the Carbon Disclosure Program, and then creates ways to markedly affect future results. Salomon is proud of being ISO 14001 certified since the year 2017. Such a distinction means that the company is able to responsibly control its environment-affecting aspects, such as waste disposal and chemical safety. The ISO 50001 certification is also awarded to the brand, which means that it efficiently managed and conserved energy through the use of motion sensing light activators, LED lighting devices, and software for their technological programs. The design and creation of the variety of Salomon running shoes, hikers, mountaineering footwear, and apparel stem from the artistic vision of many people. The company aims to enrich employees and partners with various activities and techniques while also instilling the mindset of energy conservation and responsible waste management. The Salomon design center in France features transportation options that are meant to reduce carbon emissions. These alternatives include bike lanes and bike parking sections within the company grounds, car-pools, and buses for the transportation of multiple persons at a single time, and access to a train station that’s only five minutes away from the center. The people in the design center has admitting privileges to a sports room where they can maintain a healthy body. Those who desire inner peace on top of exercising can enjoy yoga classes for up to three days a week. Furthermore, 15% of the food served in the center are of organic sources. Work isn’t the only thing that’s done in the design center. Salomon holds a minimum of two internal events for its teams. The goal of such endeavors is to strengthen friendships and create new ones. Also, training programs and activities for continuing education are offered to employees, thereby molding capabilities and imparting new skills. The design is one of the essential pillars in the Salomon infrastructure. The initial layout would contribute to the overall quality of the final creation. But the company doesn’t just desire a high-quality yield, but also a positive effect on the environment. The design center and manufacturing facilities have tools that prevent the use of restricted substances and component in the end-product. Guidelines such as the Restricted Substance List (RSL) help in ensuring that no potentially toxic constituents are used in shoes, apparel or other items from the Salomon roster. In 2013, Salomon became a partner of the bluesign® system, which is a resource that aims to unify the sources of textiles, abolish the use of ingredients or materials that may cause harm to humans or nature, dependably utilize proper assets and manufacturing methods, and maintain the wellbeing of the earth and its denizens. This collaboration further solidifies Salomon’s role as an advocate of sustainability. Salomon has a bevy of technologies that can only be found in their running shoes. While some of them are externally sourced, others are made within the center for product design. The features are meant to assist the runner when it comes to doling out the best out of the performance. Sensifit™ - This feature is made up of panel-like overlays that are either hot-melded or stitched onto the sides and the heel. These extra layers connect directly to the lacing system of the running shoe, adapting to the tightness or looseness of the coverage. EndoFit™ - An internal sleeve is tasked with hugging the foot and keeping it secure. It has a smooth and stretchy disposition to accommodate natural movement and to prevent skin irritation. It has microscopic pores that encourage breathability. Quicklace™ - It is a system of fit-securing elements that are meant to easily adjust the in-shoe feel. A thin yet durable cable snakes through discreet eyelets, ending in a securing toggle at the edge of the tongue unit. The usual looping-and-tying process isn’t involved in the Quicklace™ system; instead, one only needs to pull on the cables and hold them in place using the toggle. Mudguard – This add-on is mostly found in trail running shoes. The base of the upper unit has a protective overlay that acts as a wall. Its job is to stave off mud or other liquids from getting absorbed or from staining the outer fabrics. Anti-debris mesh – The upper of a Salomon trail running shoe features mesh that’s designed to act as a barrier against dust and debris. A strainer-like structure isolates physical elements while mildly accommodating air into the foot-chamber. Gore-Tex® - This technology is licensed from an external source. It is comprised of a membrane that is completely waterproof. It is supposed to increase confidence when running in wet conditions. Molded EVA – This full-length foam is what usually composes the midsole unit of Salomon shoes. This industry-standard compound is molded into a processing frame, finally taking its full form after cooling down. The end-product is flexible and responsive, and it attenuates impact during the landing phase. Ortholite® sockliner – This extra layer of cushioning is sourced from an external brand. It adds a bit more support to the underfoot. Furthermore, it has antimicrobial and anti-moisture capacities that maintain a cool and healthy in-shoe environment. EnergyCell+ – This foam is constructed to be bouncy. It gives energy to the foot and leg of the runner, thereby putting power to each step. Such a mechanism helps to invigorate the toe-off phase of the gait cycle. OPAL – This add-on has an oblong shape. It is placed in the heel section, resting in a hollow within the EnergyCell+ structure. It is a lightweight piece that offers high-rebound support and shock attenuation. Vibe – This technology is the result of the amalgamation of the EnergyCell+ and the OPAL cushioning pieces. Putting those two together results in an underfoot experience that feels well-supported. Energized steps are given to the runner, but the foot can also benefit from well-attenuated landings. The OPAL unit reduces shuddering during the foot-strike while the full-length material is tasked with steadying the stance. Contagrip® - This layer of protection is used for the outsole unit of Salomon’s road and trail shoes. There are many variants of this feature, but the one for running shoes involves multi-directional gripping lugs for braking and slope traversal, traction over wet surfaces, and flex grooves on the forefoot. Salomon has several sets of running shoes that cater to the different needs of consumers. Every series is categorized by names, but they are not isolated from each other. Performance and preference are still at the forefront of the company’s service. The only notable difference is whether or not the shoe is for the roads or the trails. Salomon prides itself in providing options that embrace the foot of the wearer. The features that are on the upper are constructed to accommodate the natural movement capacity and shape of the foot, especially when it goes through the gait cycle. The word ‘Sense’ in the shoe-name focuses on the use of Sensifit™ and EndoFit™ technologies. 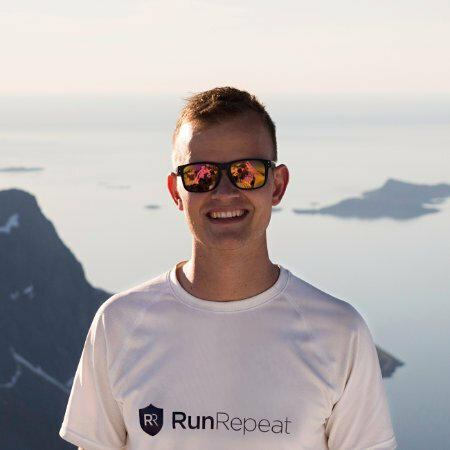 RunRepeat.com catalogs popular running shoes based on the feedback of experts and consumers. The Sense line has representatives that are well-received, namely the Salomon Sense Ride from July of 2017 and the Salomon Sense ProPulse precursor model from the year 2015. Both these products are for the roads. 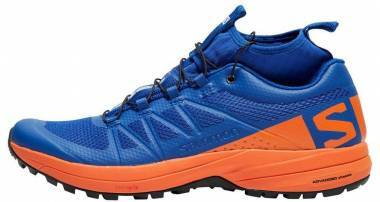 This line of Salomon running shoes is configured for the trails. Its first iteration is one of the earliest releases in the running category. Now, the series has evolved, taking in new designs and technologies to suit the different performance requirements of the runner. The Speedcross 3 and its fourth iteration have received quite the acclaim, with people praising the sure performance of the sole unit and the protective construction of the upper. The Speedcross 4 GTX (waterproof version) and Speedcross 4 CS (water-resistant upper) are also deemed as efficient trail companions. This series of running shoes are meant for the roads. Those who have tried the options within this roster deem them adequate for competitions and speed training. The façades of the shoes are sporty, yet they don’t have the bulky look of most Salomon options; instead, overlays are fused with the breathable mesh upper, bringing a smooth and uncluttered visual aspect. RunRepeat’s score aggregation and popularity determiners place the Salomon Sonic Pro and the Sonic Aero on a high pedestal of praise. Both these variants look similar, save for a few tweaks such as stitch-reinforcements on the Pro version’s eyelets and the use of a Quicklace™ system. On the other hand, the Aero has a traditional lacing configuration. How do I care for my pair of Salomon running shoes? Salomon running shoes are made with care and with precision. Moreover, high-quality materials are always at the head of the design because the designers of the brand want to ensure commanding performance in a long-lasting package. Yet it is also vital for consumers to personally care for shoes. It is worth knowing that shoes must never be washed using a washing machine. Post-use wiping of dirt/mud and moderate cleaning should be enough to prevent any debris from affecting the structure and look of the pair. Outside heat, like the heat of the sun, isn’t recommended for drying because such sources may damage the materials of the shoe. When it comes to leather uppers, Salomon recommends treating the material with a wax coating. A layer of protection is helpful when it comes to preserving the health and integrity of leather covers, possibly averting stiffening and cracking. How do I replace a damaged Quicklace™ setup of my Salomon running shoe? Many of Salomon’s running shoes feature the Quicklace™ system, which involves thin cables that are connected to a pull toggle. These reedy strands are sturdy enough on their own, but if they break or if they show signs of late wear, then it is recommended to replace them. Replacement kits of this technology are available, and they come with a complete set of components, including long lace-strands, a new set of toggles, pairs of lace-end connectors, and even an instruction manual. Actually putting on the new laces is quite mundane as it mostly includes the usual technique of lacing a shoe. The finesse is in determining the length of the cable and securing the whole setup with the push-button. You need only a long strand of the wire to snake through the shoe’s eyelets. After threading the strand, you then need to loop the ends through the push toggle, keeping in mind that a securing gear separating both ends is essential to anchor the system in place. The lace-end connectors do precisely as they’re named. 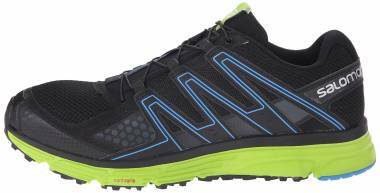 Can Salomon trail shoes help me perform properly off-road? 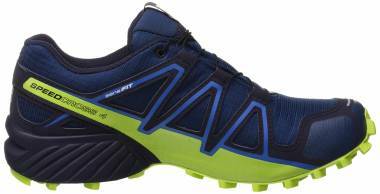 Salomon is one of the leading brands of athletic products. It has become a force to be reckoned with when it comes to performance shoes and quality through sound design. Since its inception in the ‘40s, the company made sure to pivot the layout of their products, making sure to accompany innovation with unwavering structure and execution. When Salomon finally unleashed their trail running shoes to the world, Salomon has years of experience in the realm of mountain sports, including skiing, mountaineering, and hiking. It only took creativity and knowledge of the parallelism of the build of a shoe and the biomechanical functions of a foot to construct the variety of running shoes we see today. Years of tweaking and innovating took place, but they were necessary to improve customer satisfaction. With that in mind, you can rest, assured that the elements of Salomon trail shoes, from the upper to the sole unit, are configured to tackle the great outdoors with ease. There are options for aggressive terrains, and there are ones that are for soft ground; some are waterproof while others are merely water-resistant. 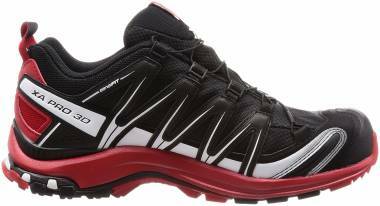 Salomon’s trail shoes are also known to function well on flat surfaces. Effectively performing off the road is partly the job of the chosen running shoe. But Salomon’s roster lets you determine which activity is your strength and which shoe to help you get through it.